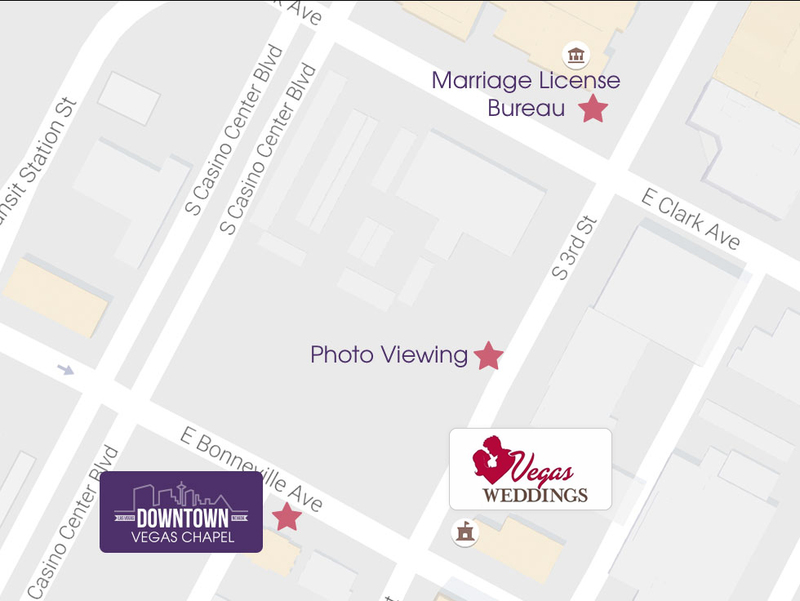 Downtown Vegas Chapel focuses on providing our couples with a loving and memorable ceremony at budget-friendly prices. Our wedding packages range from simple ceremonies to more inclusive packages that may even include a performance from Elvis or a helicopter ride over the Strip! We know you are starting your life together, which is why we provide the most treasured memories at affordable prices. Our modern wedding chapel features a chapel that accommodates up to 40 guests, a bridal suite, photo studio with green screen (can you say fun!?!) and much more. We are located just down the block from the Marriage License Bureau, keeping your entire wedding experience as easy as possible. Downtown Vegas Chapel is a private wedding chapel by the award-winning Vegas Weddings. The company focuses on surpassing your expectations, regardless of budget. Its team is here to give you the wedding you have always dreamed of. Not the chapel for you? Check out one of our other venues ranging from indoors to outdoors at VegasWeddings.com or call 702-WEDDING (933-3464). Affordable weddings in Downtown Las Vegas.